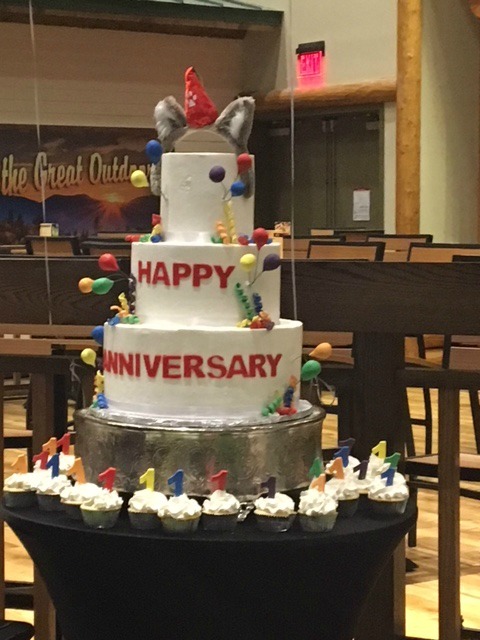 I can’t believe it’s already been a year since the Great Wolf Lodge opened in Colorado Springs! The kids and I were invited down to celebrate the anniversary last week, and we had a blast. We were given Wolf Passes and turned loose in the lodge for the day. 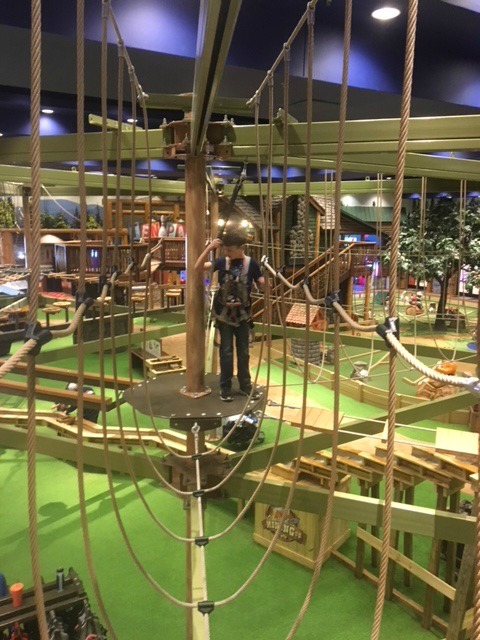 We began by exploring the ropes course, which ended up being one of my kids’ favorite activities. I loved watching my seven year old! 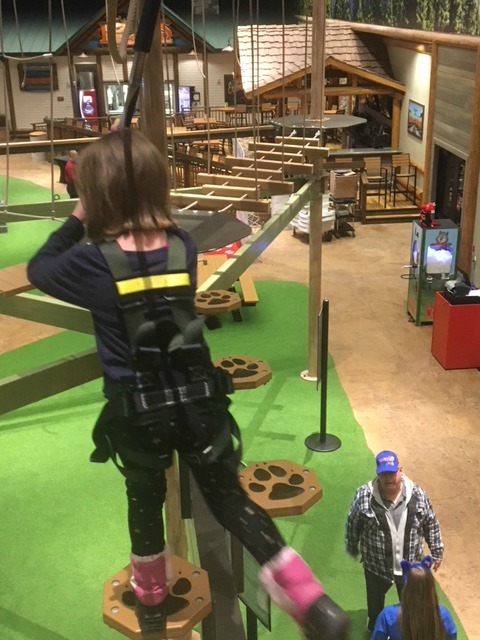 She wasn’t too sure about hopping around that high up, but she challenged herself, conquered her fears, and really had a blast up there. Of course we also had to spend some time at the water park. 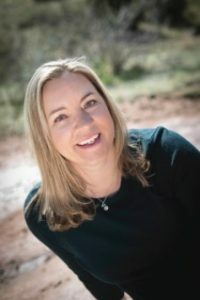 I didn’t realize there were so many things to do at the lodge besides just the water park! 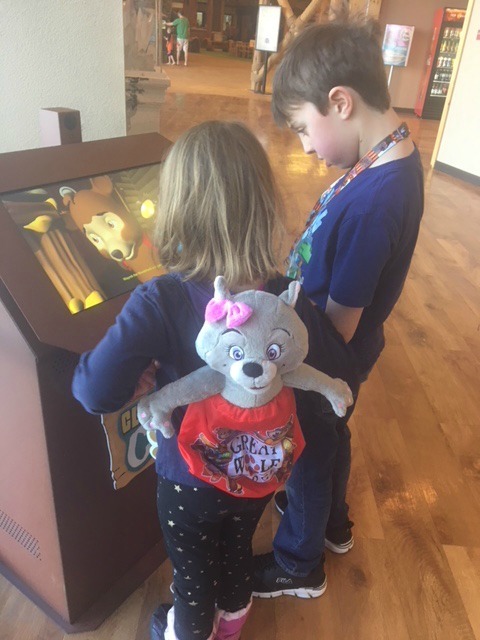 Our Wolf Pass allowed us unlimited time on the ropes course, but it also included a stuffed animal who came with a little transponder in its paw so the kids could participate in a scavenger hunt throughout the hotel. 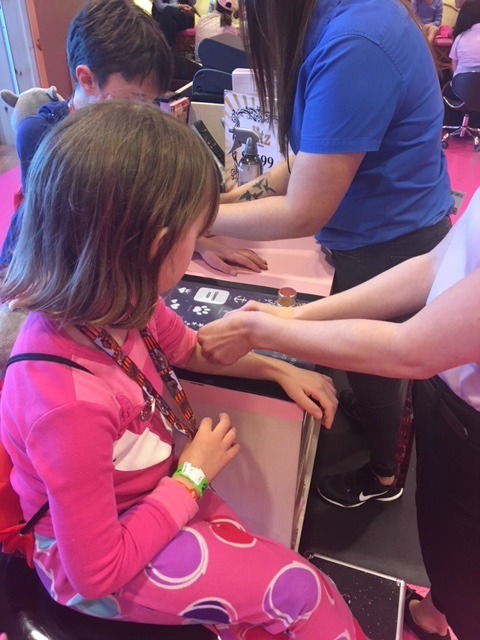 The Wolf Pass also allows kids to participate in a MagiQuest game, lets them get glitter tattoos at the spa, play at the arcade and bowling alley, and a number of other activities in the area. It’s a great way to explore the entire facility for the day! 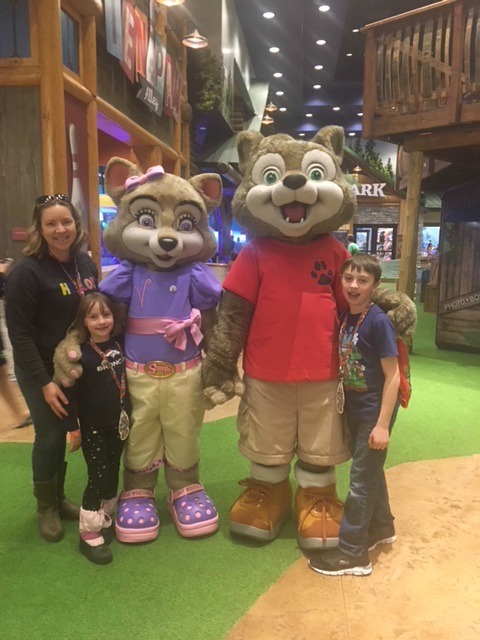 Guests at the lodge have full access to the water park, along with lots of other activities like story times, visiting with characters, morning and lunchtime activities, The Forest Friends Show, and an evening pajama party. 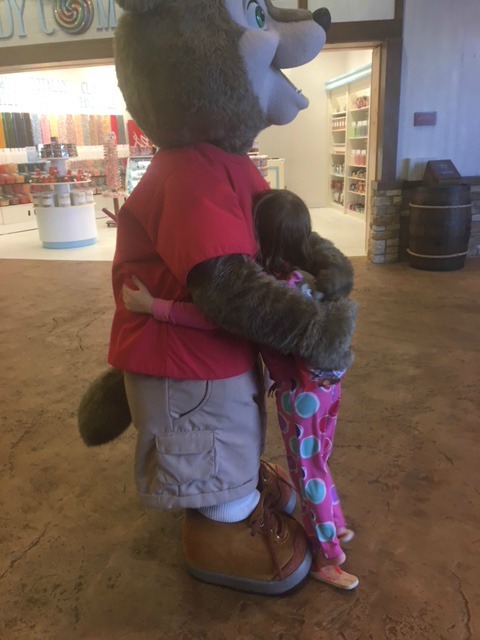 After a big day of activities, we couldn’t say goodnight without one last hug for Wiley the Wolf on his special day. Water park passes are included in the suite price. Guests can access the water park beginning at 1p the day of arrival until closing on their departure day. Some additional activities may cost and can be paid for on-site, or you can purchase passes which include several activities. We were given Wolf Passes and access to the Great Wolf Lodge water park for review purposes. All opinions expressed in this post are true and are my own.